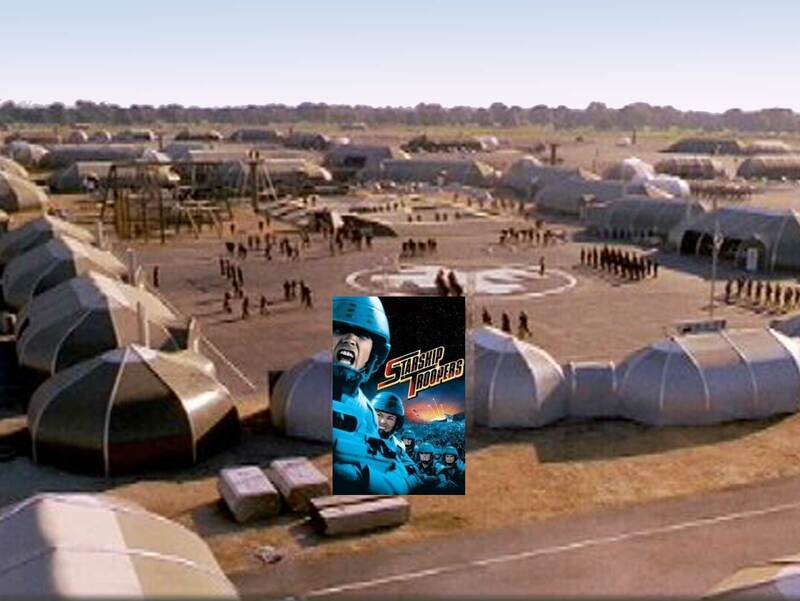 Starship Troopers film set. Movie was set in the 23rd century requiring a futuristic set design. Set for futuristic outpost. Sprung structures provide an immediate, relocatable and cost effective solution for film sets and on site warehousing. Sprung structures were relocated in various locations in Wyoming for the film shoot. 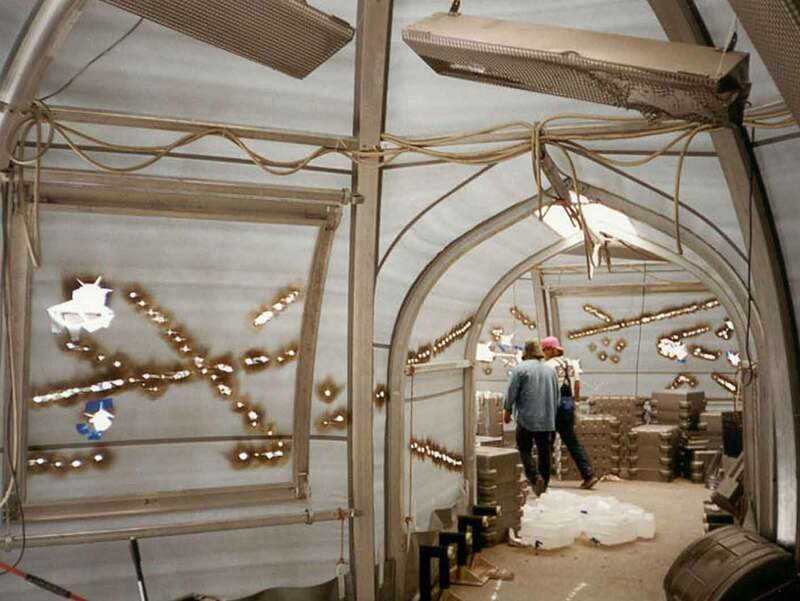 All of the set design and support facilities had to be shipped to various locations which presented a number of logistical challenges. Client had to deal with fierce weather conditions during most of the shoot located in Wyoming. Set design had to look futuristic as the movie was set in the 23rd century. 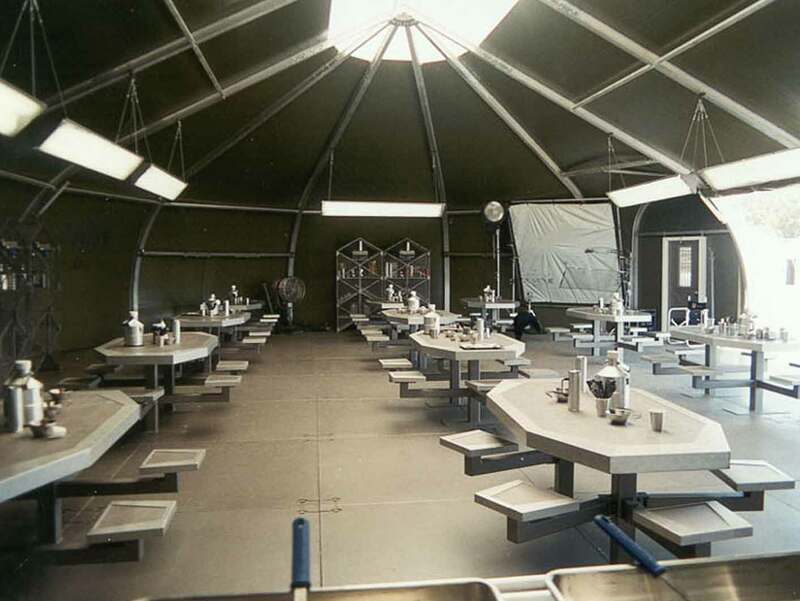 Several Sprung structures were leased as film sets and then relocated to the various sites required for filming. 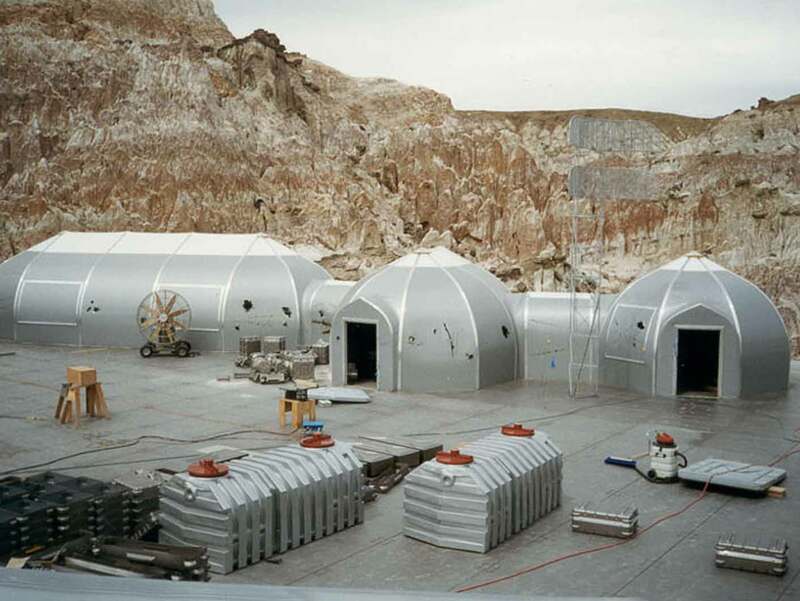 Sprung structures were selected as the product of choice for the “Planet P Station” set, a remote planet outpost, due to the unique specifications required to achieve a high tech futuristic look. Other factors in considering Sprung were speed of delivery, ease of erection and cost-effective lease program. Enormous cost savings were realized on this production because Sprung structures were able to house each of the various department needs on site. 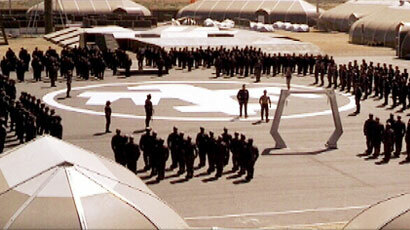 Special effects, wardrobe, props, craft services, grid department and set construction all had their own structures. All of the structures were subsequently dismantled and relocated to a second film location.